This is about creating a fair playing field for new companies, economic opportunity for rural communities, and about people choosing the kind of world we want to live in. This is a copy of my notes made in preparation for a conversation with Maine’s finest independent senator, Angus King, regarding the upcoming vote in advance of an anticipated vote this month on the Congressional Review Act to reverse the FCC’s repeal of net neutrality rules. The CRA would reinstate commonsense protections to ensure the internet remains open and prohibit the blocking, slowing down, or discrimination of legal content online. As an owner of two growing Maine corporations who rely on the existence of the internet, the topic of net neutrality is a pretty big deal. Our first company, Big Room Studios, builds the software that powers both local and national internet startups as well as global enterprise companies whose business depends on this infrastructure. Our new venture, Yarn Corporation, is enabling more organizations and individuals to create and publish interactive stories in Virtual Reality — which will demand a faster (and fair) internet. 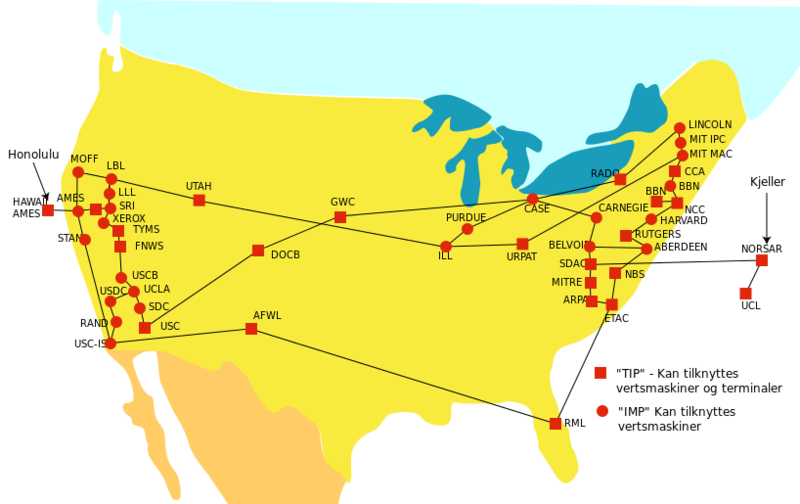 The federal government subsidized significant pieces of the infrastructure to be built by Bell Labs / AT&T in a deal that exchanged a monopoly for regulation requiring that they provide “universal service.” The resulting notion of network neutrality — that all requests for data on the network should be treated equally — was an extrapolation of the pre-existing Common Carrier regulation managed by the FCC. It’s was product of decades of prior experience with the train, automobile, and electric industries. The internet now enables many of the world’s most profitable companies, countless startups, and millions of remote workers. One can argue about whether all the change wrought was better or worse for civilization — but in terms of GDP there’s no debate. The financial return on the government’s investment into this infrastructure is nothing short of astronomical. The danger of removing neutrality is that it opens the door for more anti-competitive behavior on the part of internet providers and the largest users. The worry is that the creation of so called “fast lanes” for high-demand content like streaming video will likely increase the barrier to entry for upstart competitors — the very kind of companies that we’re working to create — who hope to survive long enough to someday compete with the incumbents. I’d argue that the future economic health of Maine depends upon the success of companies like these — and their success will in-part be determined by the fairness of the internet infrastructure. The reality is that the largest players like Google and Amazon have already built their own infrastructure through a distributed, international network of data centers that gives them a fast lane by putting their content servers physically closer to the consumers. Fortunately, they’ve made these content delivery networks available to any internet company able to pay for them. We help many companies utilize Amazon services for this very purpose — this is in part how modern internet companies are able to scale to millions of users without building their own massive data centers. The argument for removing the regulation is that it would enable free market forces to create more optimal consumer experiences — e.g. faster Netflix streaming at higher quality. To some extent, “market forces” had already worked themselves around the regulation — and then through paid lobbying and capture of the regulatory agency, attempted put the nail in the coffin. But that doesn’t mean the intended regulation was a bad for the market, it was just getting in the way of bigger profits for service providers — and therefore they have a fiduciary responsibility to attempt to circumvent it. The principle of neutrality is a good one. Supporting useful infrastructure — and universal access to it — is one the essential features of a functioning democracy. For companies like ours and the ones we work with, fair access to internet pipes is as critical as fair access to electricity (and is likely more important than fair access to interstate highways). As a business owner, I understand the concern about government bureaucracies imposing regulation that does more harm than good. But I think as a country, we need to rediscover the value of smart regulation. A completely free market vs. a well regulated market is the difference between an untended jungle in your back yard vs. a well tended garden. No one wants to stifle innovation or economic growth, but through smart regulation we can direct growth in ways that are more likely to result in the kind of civilization in which we want to live. That’s why I support this effort to restore the principle of network neutrality. This is not a case of “government knows best.” This is about creating a fair playing field for new companies, economic opportunity for rural communities, and about people choosing the kind of world we want to live in.